The two central incisors are chipped and discolored from a diving accident when she hit the bottom of the pool. 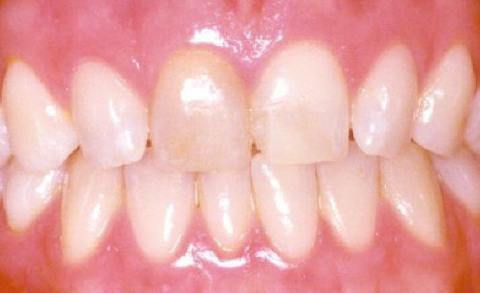 The right cental incisor has been root canal treated. 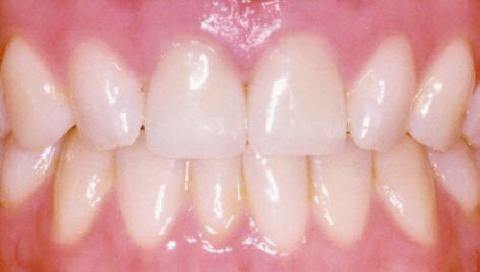 The two central incisors have been restored with porcelain/ceramic crowns.